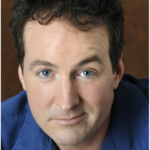 performs in and produces of one of the longest running shows at the world famous Hollywood improv. Bill Devlin’s Comedy and Cocktails sells out many nights and has featured comedy greats, Chris Rock, Jerry Seinfeld, David Spade, Margaret Cho and Drew Carey just to name a few. In addition to Headling around the country, Devlin regularly headlines some of the largest Comedy Club venues in the southern California, including the 400 + seat Irvine and Brea Improvs as well as Oxnard’s Levity Live. He has well over an hour of clean comedy. Growing up in an Irish Catholic family and his Thai wife serve as fodder in his reservoir of comedy. Before launching his stand–up career Devlin had his own sketch comedy improv troupe and had studied under legendary improv instructor Del Close. His unique comedy style is routinely written about in the Irish Herald, The Irish News and The Irish American Post. Did I mention he’s Irish American? Devlin has also been profiled on NBC’s Today in LA, Tavis Smiley and on National Public Radio. He was commissioned to produce, write and host (before a live studio audience) his own TV talk/variety show The Un-Invited Guests with Bill Devlin; which starred Devlin and comedy legend Dom Deluise. Devlin has starred in several independent feature films and has been in dozens of television commercials. He has worked with such film veterans as Faye Dunaway, Sean Young, Harry Dean Stanton and Ernie Hudson.